At Club Palm Beach on Thursday 29 November 2018, staff gathered to celebrate Barrenjoey High School’s 50th birthday. 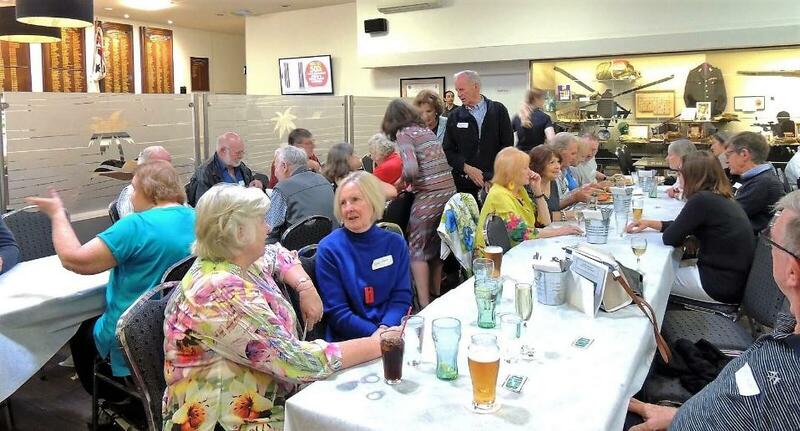 It was a quite unique gathering because attendees ranged from staff who opened the school in January 1968 to those currently working at Barrenjoey. 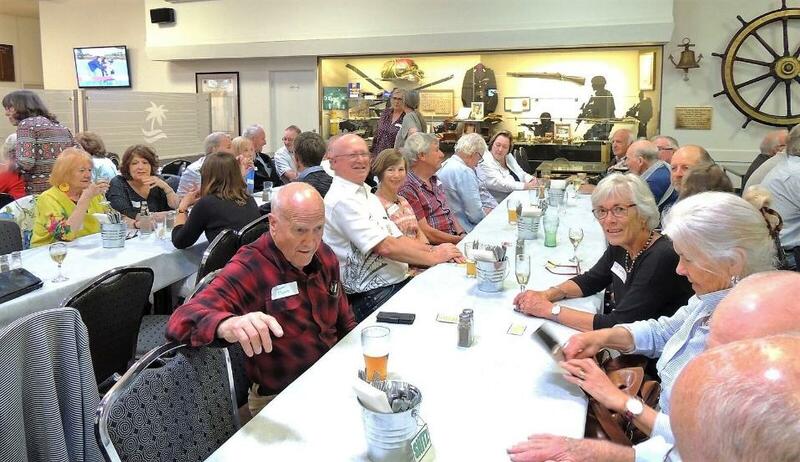 Norma Watt, Trevor Myers, Judy Simpson and Annie Jenkins, members of the original 1968 staff, attended as did two former principals, Graham Roe and John Ward and two former deputies, Jim Simpson and another John Ward. Trevor Myers recalled being summoned to the Principal's office because he had called a student “a dirty elephant". The parent was indignant, the student insistent and Trevor perplexed. "A disturbing element" was what Trevor had actually said. Annie Jenkins (90 yo) and Norma Watt (95 yo). When teachers were appointed to Barrenjoey, they stayed, which is testimony to the type of caring school it was. The children of staff members also attended the school, something that was not necessarily successful at some schools. 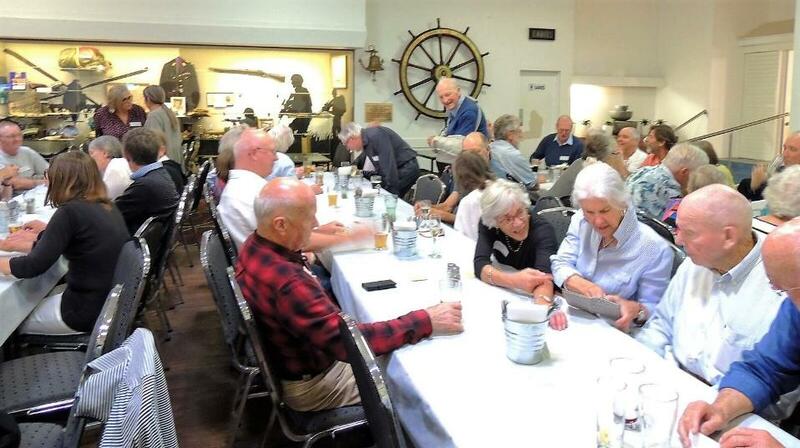 At the reunion, staff greeted old friends and made new ones. People reminisced about the girls who rode to school and kept their horses in the school horse paddock. One student trick was to fail to fasten the gate securely and then, horror-struck, the students would alert the teacher providing a wonderful excuse for everyone to dash “save” the horses. Staff recalled kids using their surf boards when the creek flooded up and over the front playing field. On a good surf day, playground duty had to include North Avalon car park where the kids would go to check the surf. Originally, surfing was banned as a sport in NSW schools. Milton Brown, a teacher at Barrenjoey, was a member of the NSW School Surfing Association who lobbied the NSW government and Department of Education from 1976 until 1980 when Barrenjoey High School became the first school to have surfing officially approved as a school sport. People delighted in reminiscing about the music and drama achievements of the school. Sue Walker and Helen Oberg were pivotal in setting up the music department and various bands which toured New Zealand on a number of occasions. In the 1980s, Claire Carmichael, on the English staff, wrote a series of murder mystery/comedy plays using the strengths of the students who auditioned. The plays were subsequently published and performed at many other schools. At that time Barrenjoey had no school hall. The plays were therefore performed in the Avalon Public School hall. On one memorable occasion, there were the usual number of dead bodies on stage when a rat suddenly ran out onto the stage. The audience were transfixed and the dead and live bodies on stage were horrified. As producer, I was standing in the wings, and I whispered “Don’t anyone move! !” Fortunately, the students were more intimidated by my hissed directive and no one moved. The rat, after making his appearance, disappeared backstage and the play continued. The battle to get a school hall took many years and many fund raising activities. At one stage it was suggested that the school tennis courts could be sold. Fortunately, the majority of the staff were appalled by the proposal which was subsequently dropped. Eventually after much lobbying, the State Government agreed to the building of a school hall. People agreed that there was a very supportive atmosphere at the school and staff helped out, over and above what they were required to do. Iva Masek’s Rock Eisteddfod performances were a triumph. Unlike the well-funded private schools, BJ performances were done on a shoe string, with teachers and parents volunteering many hours. Several of the staff who moved on to other schools said that they regretted leaving Barrenjoey because it remained the school for which they had great affection. People also remarked on their pride in the achievement of the many former students who are now contributing to and enhancing society. As a truly comprehensive high school, BJ former students have excelled in many different fields, some achieving prominence, others just fulfilling the aim of their teachers in becoming fine members of society. Many teachers remarked that they still run into students and are greeted with affection and appreciation. I know that one of my 1973 HSC students has beaten me to a retirement village. It was a wonderful reunion with people delighting in the opportunity to catch up with people who were more than just colleagues. The staff may be ageing but judging by the noise and laughter on Thursday, their enthusiasm has not diminished. 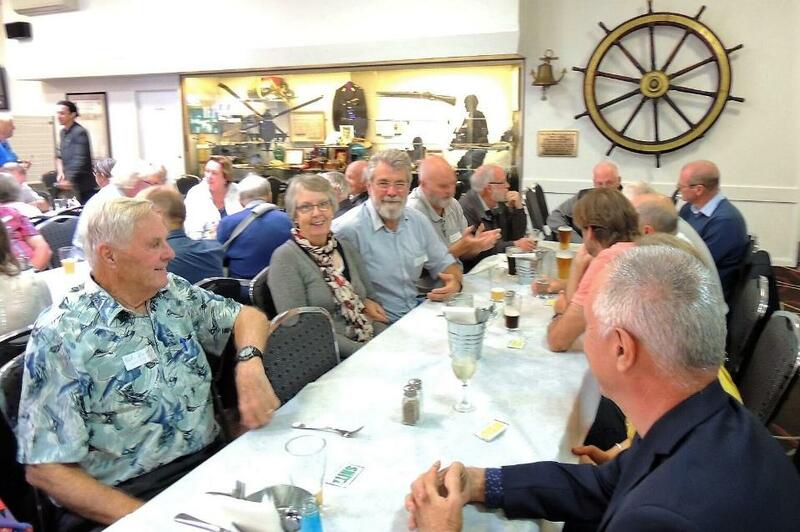 It was such a success that the BHSOCC (Barrenjoey High School Old Codgers Committee) has decided that from now on, on the last Thursday of May and November, staff are invited to come once again to the welcoming Club Palm Beach to catch up with friends.